What do you want from a phone? Making calls, sending texts is something basic and all phones are meant to do that. Some people care about looks, others want it to be user friendly. You might also want to use it for your business and to access your email. It should also cater to your personal needs like taking pictures, videos and to listen to music. It would be even better if you could use it for social networking to stay connected with your friends and family. Imagine all these features bundled in a stylish touch screen phone. That's exactly what LG Chocolate Touch has in store for you. LG Chocolate Touch is a touch screen CDMA mobile phone that has been built for all kinds of personal use. It uses Dolby Mobile technology for crystal-clear sound quality which makes listening to music next best to a live performance. It has 1 GB inbuilt memory dedicated to memory and supports upto 16GB microSD memory card to store a large chunk of your music collection. It also has some sweet Visual Effects and features, including Rhythmical Beat that vibrates the handset to the beat of the music to enhance your listening experience. It also has a one-touch Social Network Message Key for easy use of social networking and micro blogging like Facebook, Twitter etc. The phone also offers top-notch text, picture, video, and voice messaging, including Visual Voicemail. The LG Chocolate Touch has a 3.2 MP camera to snap pictures and record videos. It also has an image editor to edit the photos without transferring them to your computer. It also supports GPS to ensure you never get lost. The LG Chocolate Touch has loads of other useful features that make it a good buy if you are looking for a nice phone for personal use. Visit the website for complete specifications. photo credit: Pixel FantasyThe Konami code is a cheat-code which is used in many Konami games like Contra. It involves pressing the following series of keys-up up down down left right left right B A as depicted in the adjacent picture. Konami code is very popular on the web these days. It works on many sites like Facebook, Digg, Google Reader, ESPN, GameSpot and many more popular sites. So go ahead and try it out on different sites and discover new sites that use the konami code. For a long list of sites that use the Konami Code, visit Konami Code Sites. You will need to perform the Konami Code on that website as well. So keep trying, you never know which site might support the Konami Code. Some sites use variations with the Konami code. 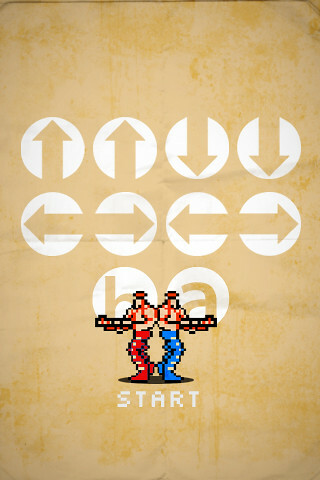 On Facebook you need to press enter after entering the Konami code to see the special effects. Here's a video that shows how the Konami code works on Facebook. Finally, if you haven't tried this on Konami games, you need to get hold of a gaming console or use some kind of emulation to try the Konami code with ancient games. The Konami code also works with a few newer games.